Ever thought about taking two of the best casino games and then comparing them? That’s exactly what we’ve done. We’ve decided to compare Blackjack vs Slots, which are two of the world’s greatest casino games. In this article, we’ll be going over each one and will be discussing their odds so you’ll have a better understanding on what you can expect when playing. 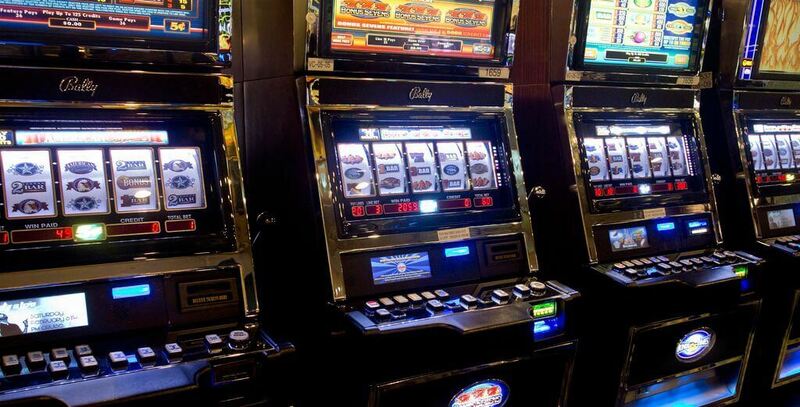 We’ve also come up with some reasons why we think slot machines are the better choice between the two of them, however we’ll let you bet the judge of that. Well, it may not come off as a surprise to know that slots are the #1, if not, the most known and played casino game in the world. The first one to be released was called the “Liberty Bell Slot Machine”. This historical machine was invented in the late 1800s by a mechanic named Charles Fey, who was living in San Francisco at that time. If you want to learn more about the history and evolution of slot machines, we encourage you to check out this awesome infographic we created. If you were to count up all the slot machines scattered around the world, both at the land based and online, you would literally find millions of them, which is amazing. One of the great things about this game is how easy it is to play. Simply place your bet, press the spin button, and wait for the reels to stop turning. No special skills and strategies are required. Just spin and keep your fingers crossed in hopes for a win. Another great thing about slots is that there are so many different kinds for you to choose from. Whether you’re into the classic 3-reel or prefer the modern 5-reel machines, there are plenty of games for you to enjoy. With such a diverse range of themes, ranging from your favorite animals to slots that involve tasty foods, you’ll for sure find the right one that caters to you. All this variety makes it possible for game designers to create exciting features, beautiful art and catchy tunes that will keep you on the reels for hours at a time. Blackjack is another really fun and simple game, however unlike slot machines, it does require some skill and strategies that can be used in order to help you win more. This game was introduced in 19th century and has been a huge hit in the casinos ever since. Once it became available online, it became even more popular. A convenient way for people around the world to be able to connect and play together. Over the years, there’s been some great variations of the game made. Some of the most liked ones being European, Progressive, Spanish 21 and Pontoon, however you can never go wrong with the classic. Unlike slot machines, blackjack requires a dealer and many times involves other players sitting next to you. Although the game is very different from slots, one of the great things about it is that you can socialize more easily with those at the same table. But this is all personal preference. Some people may prefer to play alone so that they can go at their own pace, without having to rely on a dealer or waiting on other players. Whether you’re in it to win it or just want to have some fun, both games offer endless amounts of excitement and some really good odds. The house edge for blackjack is typically around 0.5%, depending on the casino you’re playing at as well as the version and its rules. For example, that means you have about a 45% chance of winning for each hand. Keep in mind, you can always improve your blackjack odds by getting a lot of practice and sticking with a good strategy. If you would like to learn some strategies that can help you win, then we highly recommend you to check out this handy article we wrote called The Optimal Strategy to Win at Blackjack, especially if you plan on gambling. As far as slot machines go, there’s no strategies or level of skill that can influence the outcome of your spins and improve the slot machine odds. The only thing that will be able to determine whether you win or not is luck. You can expect to see most slots with a payout percentage ranging anywhere between 80% – 90%. It just depends on the game you’re playing on as each one is configured with its own RTP (Return to Player). All machines come equipped with a special software called the RNG (Random Number Generator), which is programmed to randomly select spin combinations, therefore there’s no way you can influence the outcome. Still not sure which game is the best? If you ask us, as well as many others out there, both these games are excellent choices. And if you’re a beginner, we highly recommend both of these. But if it came down to it, and we could only choose one, then we would have to go with slot machines. Not only are they super easy to play, but they’re a ton of fun. There’s a huge selection of themes and it’s just a great game to be able to unwind and relax with. Speaking of which, you have to try out all our slots here at Caesarsgames.com, which are totally free and available 24/7. We have well over 100 machines you can choose from and all of them come equipped with state-of-art graphics, sounds and features that will make you want to keep playing! Slots vs Roulette: Which is Best? Video Poker vs Slots: Which is Best?